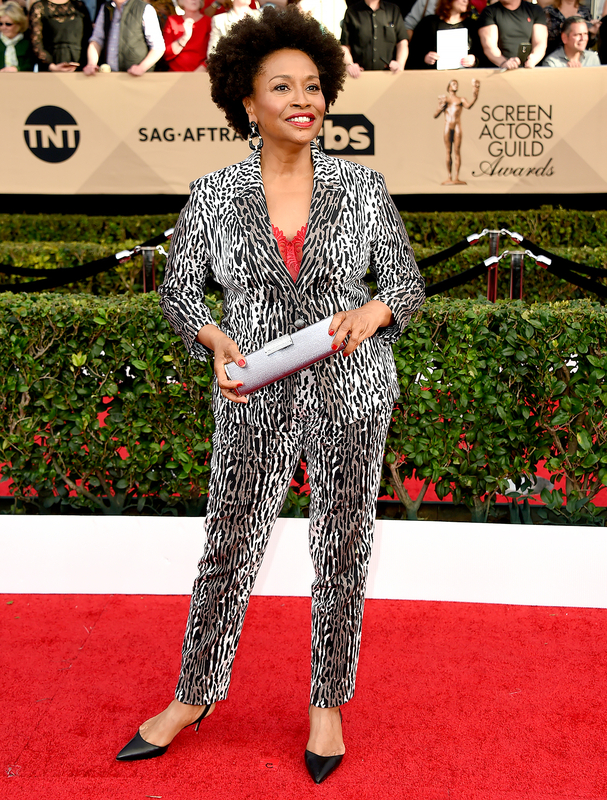 Transparent’s Amy Landecker and Black-ish’s Jenifer Lewis Twin in the Same Pantsuit at the SAG Awards 2017: Who Wore It Best? Fierce! 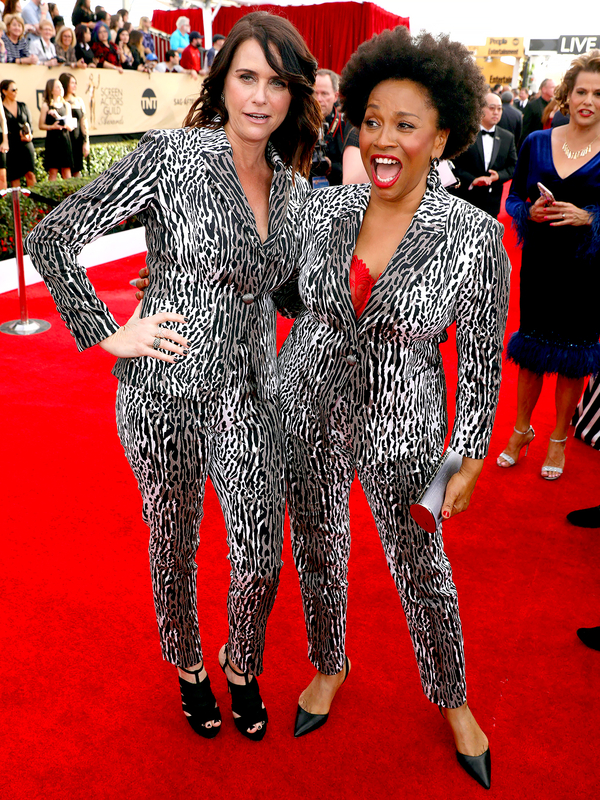 Transparent’s Amy Landecker and Black-ish’s Jenifer Lewis hit the red carpet in matching St. John pantsuits. But they both put their own unique spin on the animal-print set. Landecker, 47, took a walk on the (more) casual side by pairing her ensemble with strappy heels and black polish. Lewis, 60, vamped up the pattern with a red bustier, silver clutch and black pumps. Va-va-voom! Stylish: How did you pick this outfit? Stylish: At least you&apos;re matching with someone really fabulous! AL: I know, I&apos;m really excited! She&apos;s also a huge advocate for the trans community, so I feel honored. Honestly I follow her, I love her work, I think she&apos;s brilliant, she&apos;s also very aligned with all the causes that I&apos;m aligned with, so it&apos;s an honor and a privilege. Stylish: What&apos;s your first reaction when you see someone in the same outfit? AL: I never … honestly it&apos;s also quite a bold goddamn outfit! Right? Sorry, I will say my daughter was not into me wearing this. The Siriano was black and more simple, and this is a statement! I&apos;m wearing a leopard suit! Stylish: What did Jenifer say when you went up to her?